After the government had decided to close the Twenthe airbase in 2003, military use was terminated there on 1 January 2008. 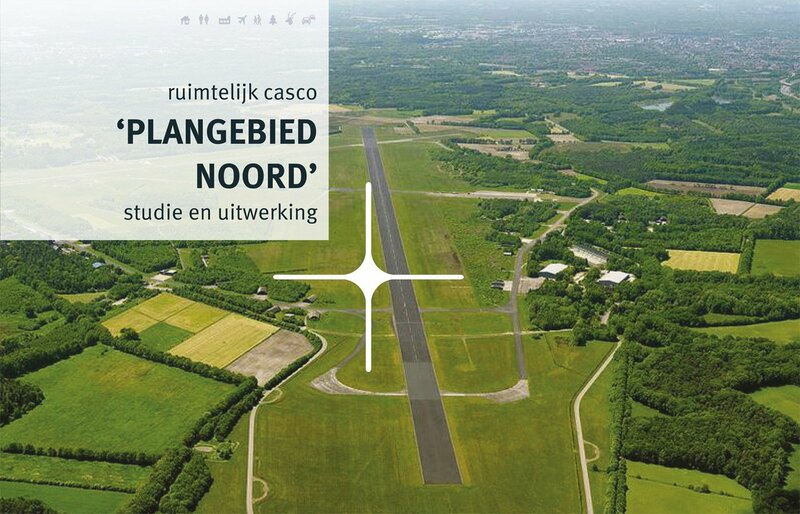 At the end of 2009, the province of Overijssel, the municipality of Enschede and the government decided to give the enormous area new functions, including a commercial civil airport. 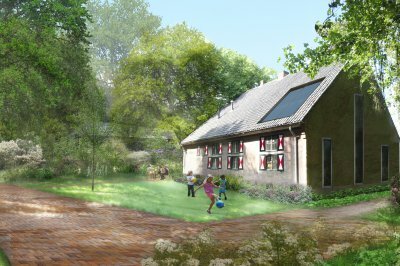 Since then, Area Development Twente (ADT) - a collaboration between the province of Overijssel and the municipality of Enschede - has been working on the realisation of this development. 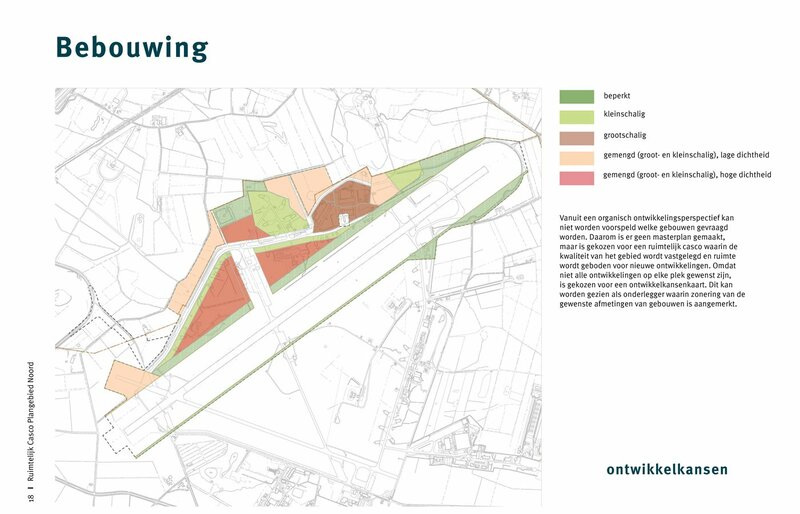 When in July 2014, the Provincial Councils of Overijssel, based on a report by ADT, established that a commercial civil airport was not politically feasible, a reorientation followed. 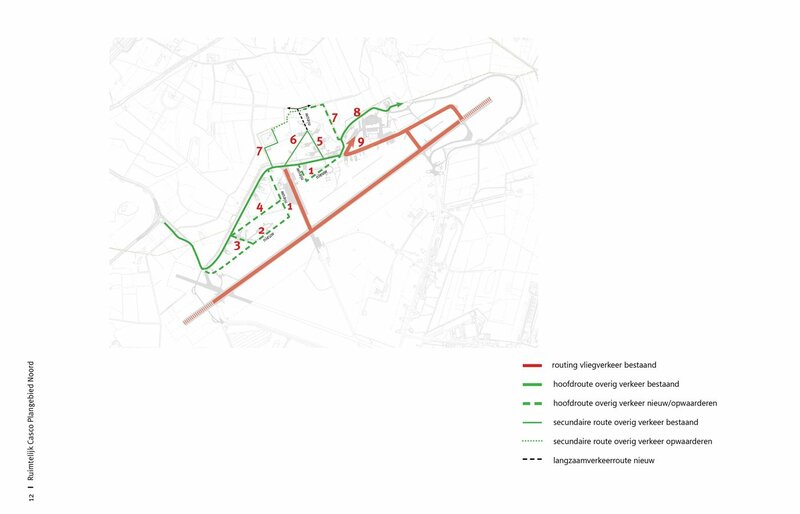 A Committee of Wise Men recommended continuing the use of the airport and developing the northern part on a limited scale into a high-quality business park. 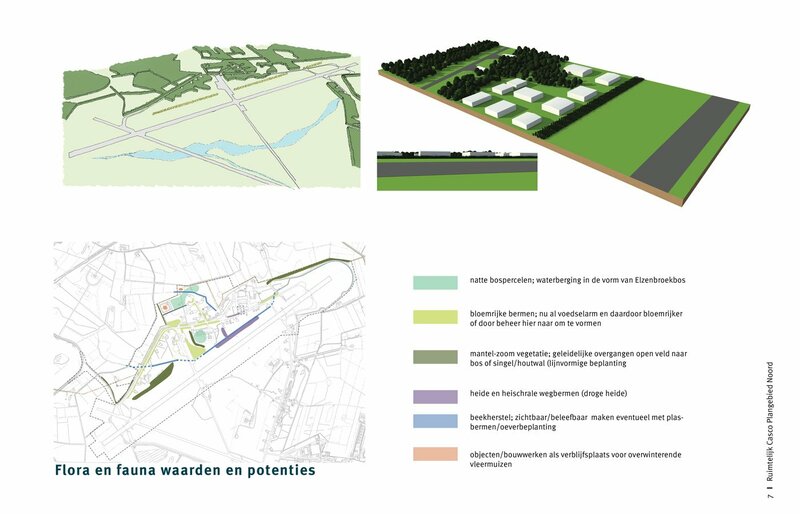 The area development was named Technology Base Twente and was intended to strengthen the regional economy in a sustainable manner, with the main objective being to create employment. 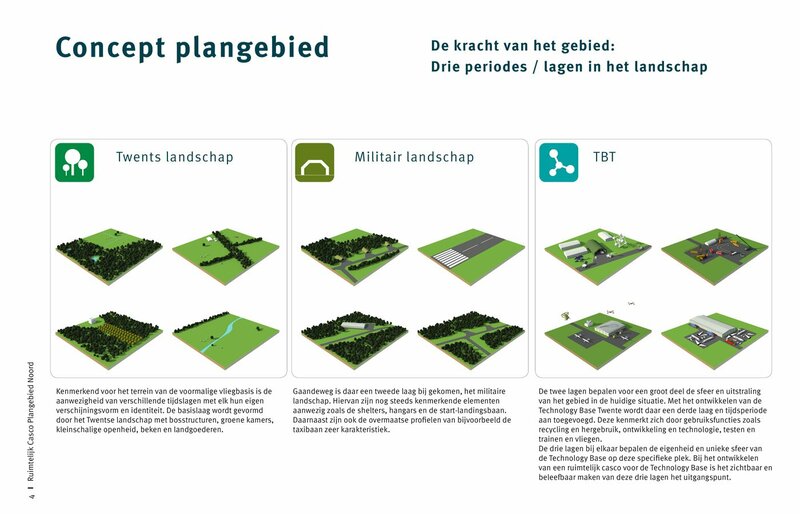 The development was also used to restore and strengthen nature, landscape and watercourses by using a large part of the area for the realisation of Natuur Netwerk Nederland. 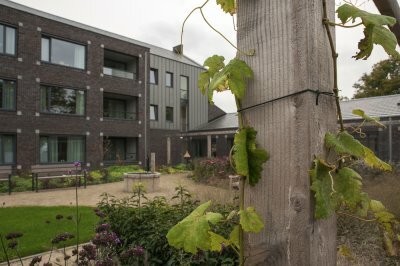 In doing so, the area development required a framework that created clarity and at the same time offered flexibility. 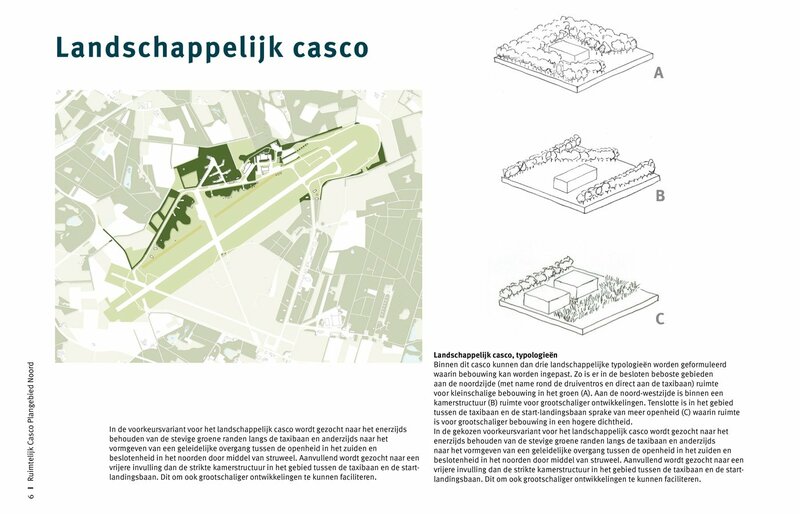 The redevelopment of the former airbase required a careful spatial process. 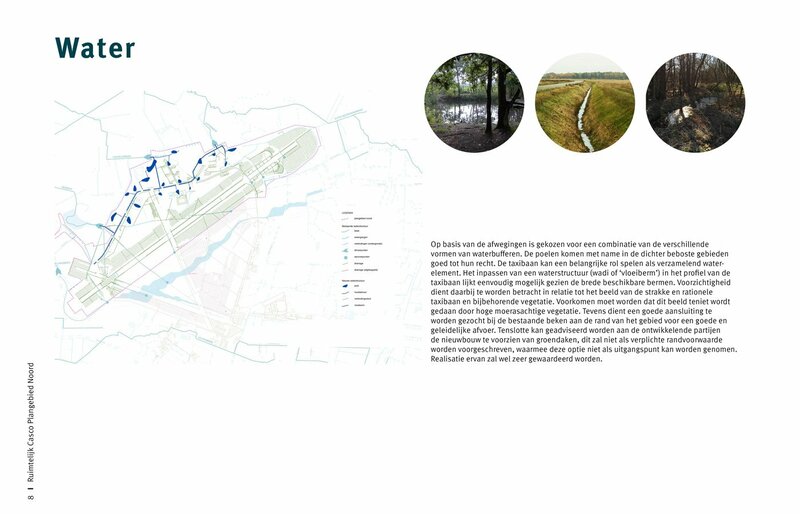 The Urban Planning and Landscape Department of IAA Architecten carried out a series of activities for this purpose. 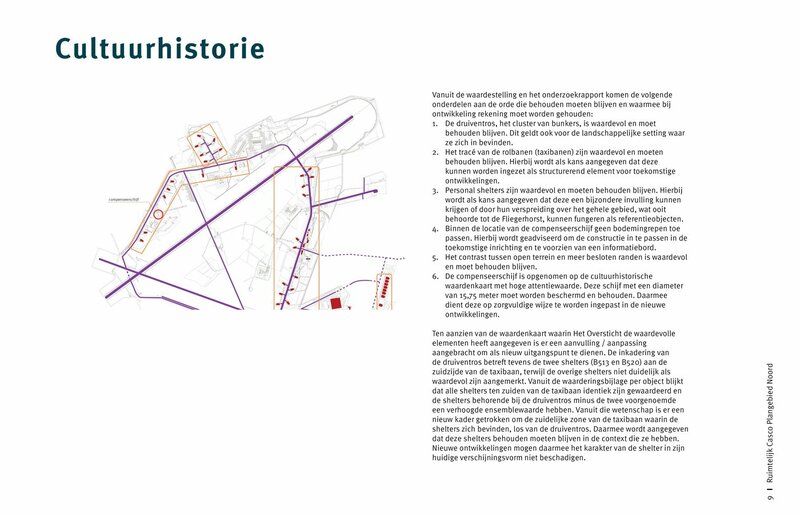 After the advice of the Committee of Wise Men, ADT needed a compilation of the available information in the form of a map for the 250 hectare site. 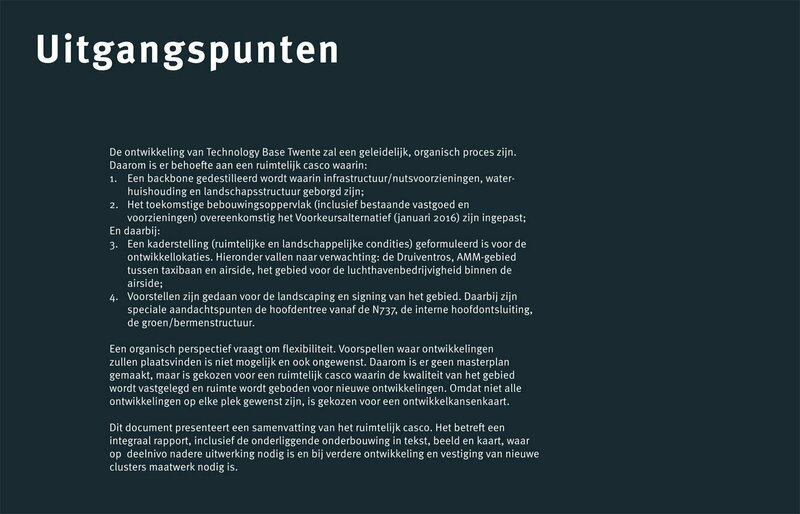 In autumn 2014, the Urban Planning and Landscape Department of IAA Architecten was commissioned to produce a basic information book for ADT. 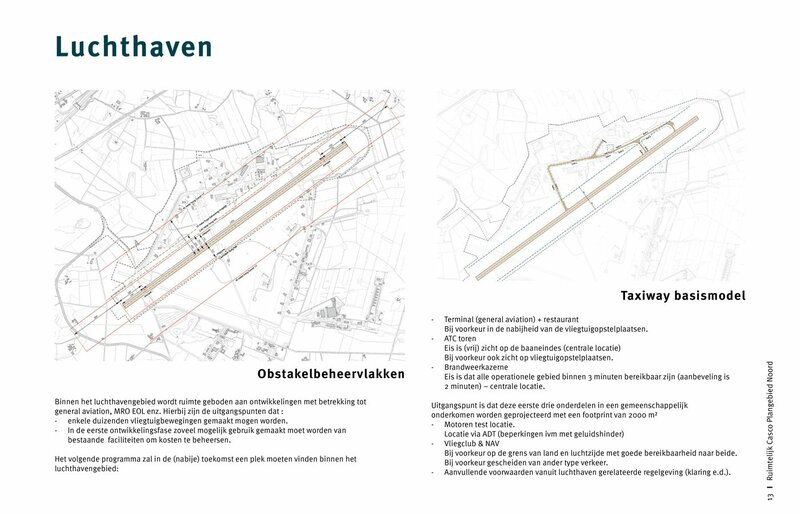 In the spring of 2016, as a follow-up to this, a spatial hull for the development of Technology Base Twente was drawn up in a number of partial sessions together with the parties involved. 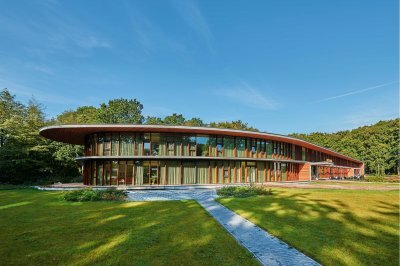 The spatial hull describes the current structure and values of the area. 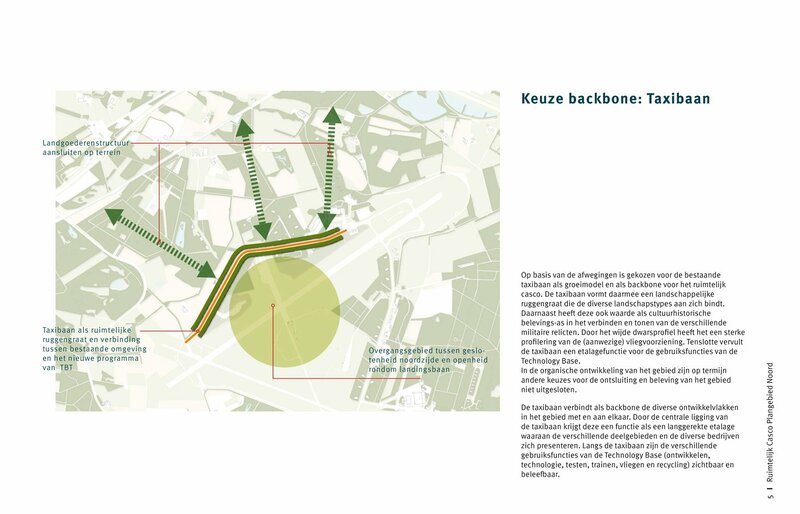 Choices and starting points for the development of the area have also been laid down by designating a backbone. This way, the spatial hull offers a framework for future developments. After the production of the spatial hull, two further elaborations followed: the recording of the landscaping & signing and the trial parcelling of the construction programme. In the former, the preconditions are laid down for the preservation and strengthening of the landscape qualities and appearance during the development and ultimate management of the area. 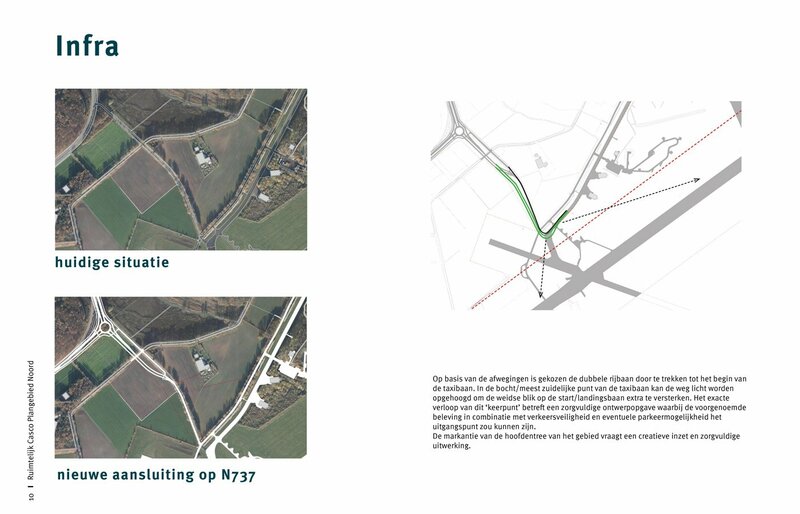 The second elaboration tests whether the maximum programme generates the desired quality on the basis of trial parcelling. A project in collaboration with NOHNIK.